Everything Just So: Old Nail Polish: Object of Desire? Old Nail Polish: Object of Desire? 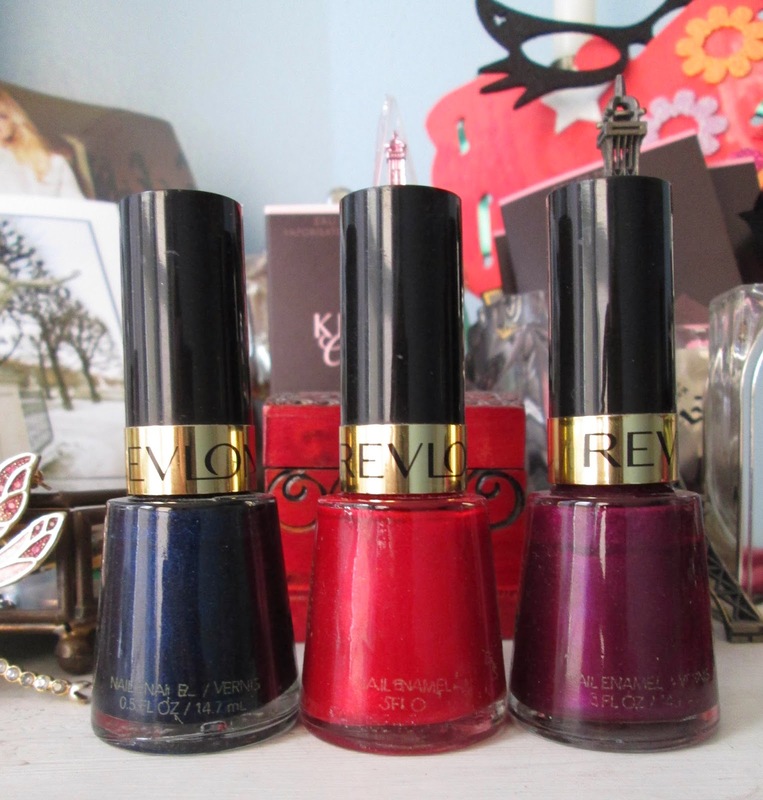 Revlon polishes, L to R: Midnight Affair, Frankly Scarlet, Plum Attraction. There’s a great article over at The New York Times by Alice Gregory called “Obscurity Is the Lure” about ladies obsessed with discontinued nail polish colors. I was shocked to read someone would pay $250 for a bottle of the Essie color “Starry Starry Night,” a deep and glittery blue. I’d much rather put that kind of cash toward a piece of fine jewelry or an Hermès scarf! Essie Curtain Call. I still love this shimmery beige. The article did get me thinking about older colors I own which I can’t seem to part with. Mostly I keep them as color swatches—sometimes I will take them to CVS to find a color match for a replacement bottle, other sometimes they are just too pretty to get rid of and I keep them as a collection of colors, almost like a mood board. They are usually colors I would like to find in a pair of shoes, or a bag. Rescue Beauty Lounge, Catherine. 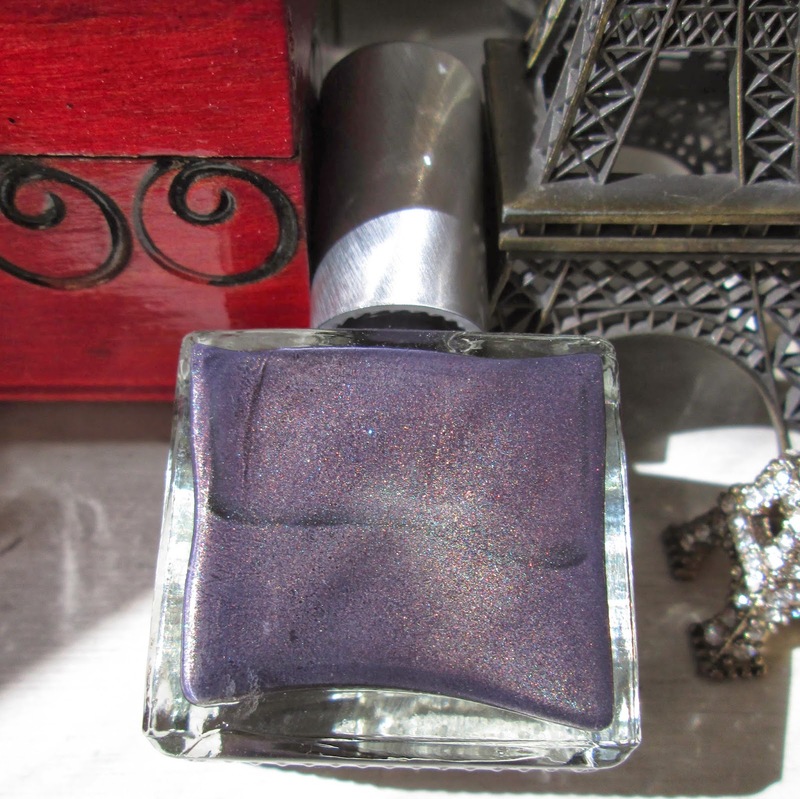 The microshimmer in this smoky purple is gorgeous! The wonderful Aisha at Sephora Herald Square in NYC, who swatched the Formula X for Sephora color “Infatuated” for me (an icy blue, my latest nail polish purchase), told me she had hundreds (!) 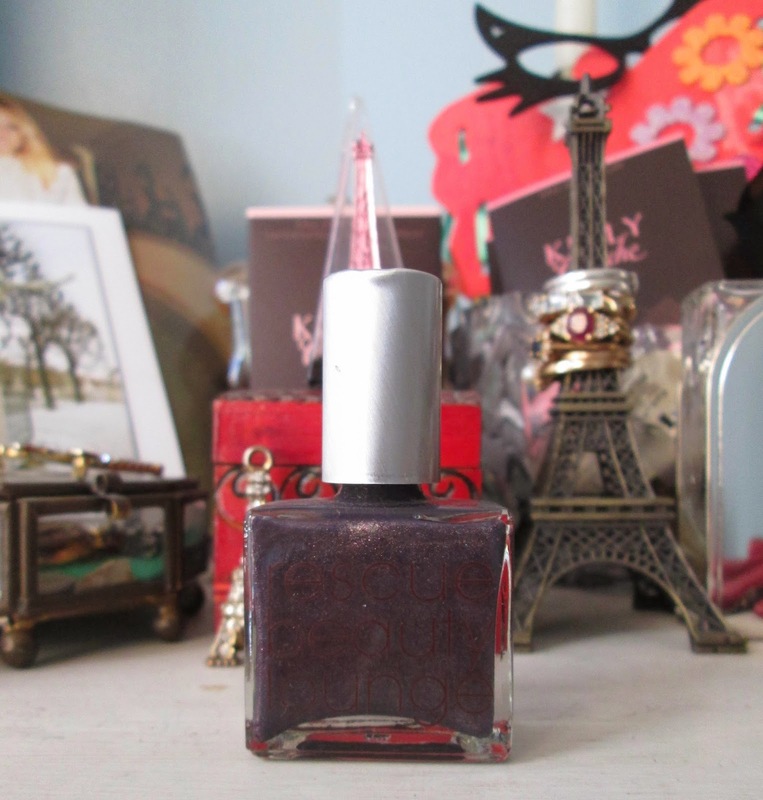 of bottles of nail polish, which she keeps in a box under her bed. She’s an artist, she explained, and she keeps them as a color collection, much like I do. “But can you use older nail polish?” I asked her. 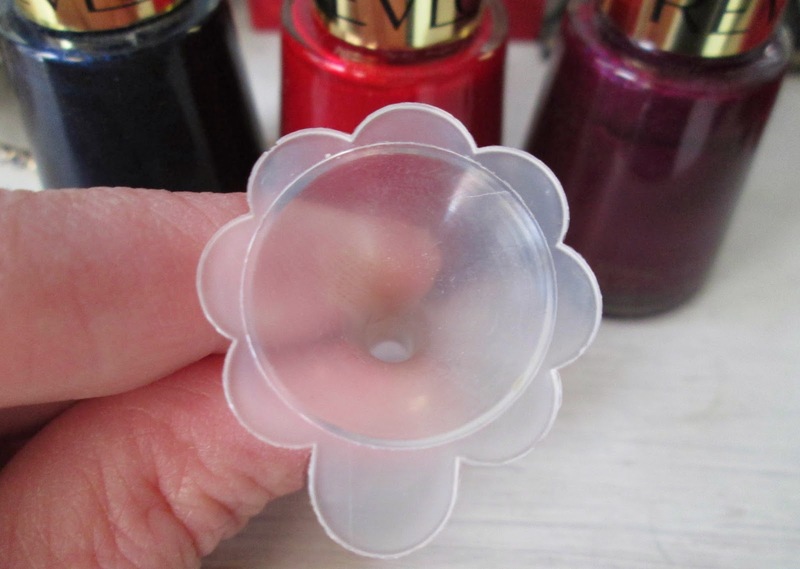 She gave me a tiny plastic funnel and said to keep polish alive I could put a drop of nail polish remover into the bottle to thin it out and make it useable again. It will take the shine away, she warned, but it means you can keep and wear the color longer, although a top coat to replace the lost shine becomes essential. I may try this soon with a few of the older shades in my collection. I did a count the other day and found I own 45 bottles, more than I thought I had! I did throw two away, both by Essie, Ballet Slippers and Mademoiselle, but that’s because I have newer bottles of the same shades and these particular polishes would not move in the bottle, not even when I turned them upside down. It was definitely time for them to go! How long do you keep nail polish? Do you ever hold onto a bottle of it long past its shelf life just because you love the color? How long is the shelf life of nail polish? I have three total in my manicure kit! Clear, OPI I am not really a waitress and Peru B Ruby...I so seldom paint my nails because I garden and so it never lasts more than a day! I do love looking at other women's nails and enjoy how creative they are with mixing the colours to make a statement. If memory serves you are in the public eye so a pretty polish would be an important part of your ensemble. I keep my nail polish for quite a long time probably because I don't use it that often. A good trick is to keep it in the fridge and I add a few drops of nail polish thiner if it gets too thick. I have many old colors...would anyone like to make an offer?? Seriously, I am like you, Jill, and would rather spend it on just about anything else. I love buying nail polish. I have way too many. But once it gets gunky, it the trash it goes. I've never gotten attached to one particular shade; there's just too many others to try. And usually I think you can find something very similar. My current favorite is OPI Mod About You. I would never spend that much on nail polish! I haven't used nail color for years and years (too many solvents in art school, then just out of the habit.) I understand, though, the possibility of obsession with those pretty bottles of saturated color. So many ... even though I don't wear it, I have a collection that are exact matches to heels that I have repaired. I may not even have the shoes anymore, but I hang on to the polish. This is a fun post! I don't have nearly as many polish colors as you do, but I do have some old favorites that I've been keeping around!